Go cute or go home! 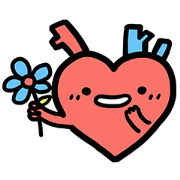 Show your friends some love with these cute heart stickers that will make them laugh and then go "aww"! Friend CLEO Singapore’s official account to get them for free.